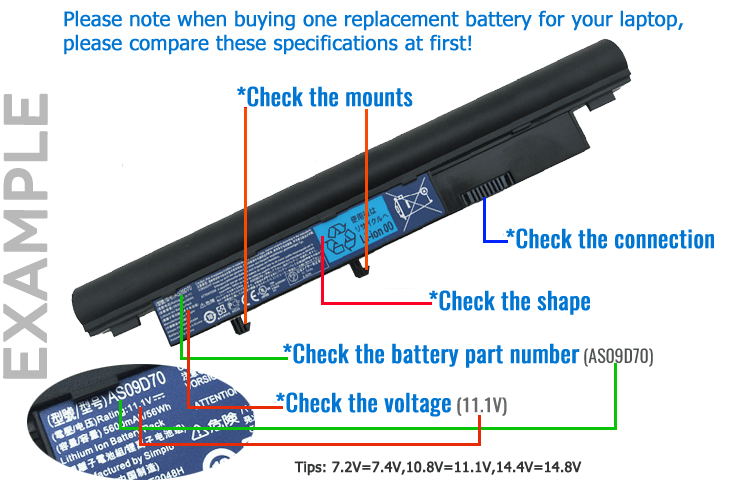 How to find the correct battery for my Acer Notebook? How can I find my battery’s part number? 1Make sure the laptop is unplugged and turned off, and that the battery has cooled. 2Flip the laptop upside down. Push the battery latch to the left "unlock" position. While holding the latch in this position, slide the battery out of the computer. 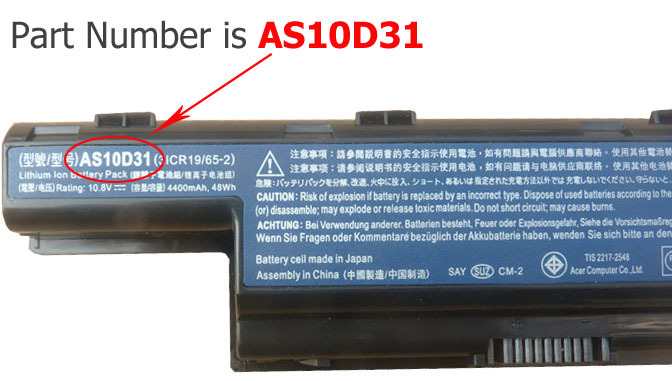 3Look for the serial number that is printed on the label on the back of the battery. The serial number will be a combination of some letters and numbers that more conspicuous. 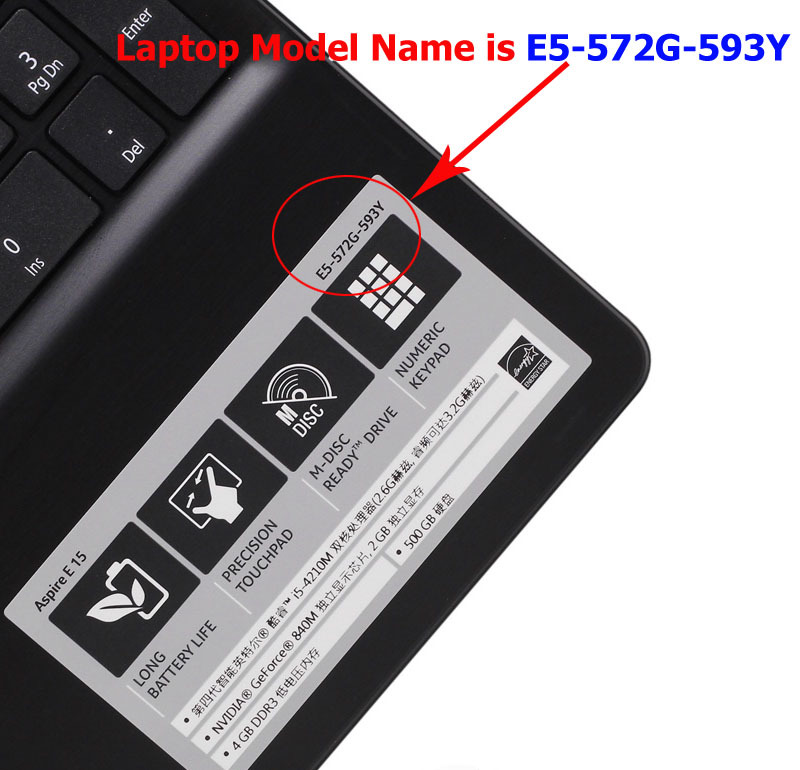 How to Find the Model of My Laptop Computer? 1Open the laptop and check the area near the keyboard first. Manufacturers commonly print the computer model (such as Aspire 4736G for a Acer computer) on or near the keyboard. 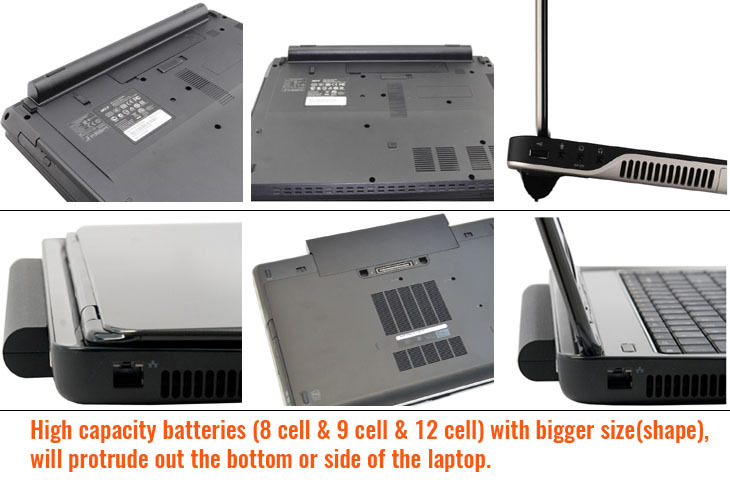 Please note : High capacity batteries with the bigger size shape, and them will extend out about 1 inch from the bottom / side of the laptop.